Update: v4.5.1 and v4.5.2 have also been released to squash from bugs🐛 from v4.5.0. Stoplight exposes an API that enables you to programmatically publish and unpublish documentation, download build zips, and modify a docs configuration. Additionally, you can retrieve a documents build list and configuration. This enables more advanced automation and integrations into existing workflows. 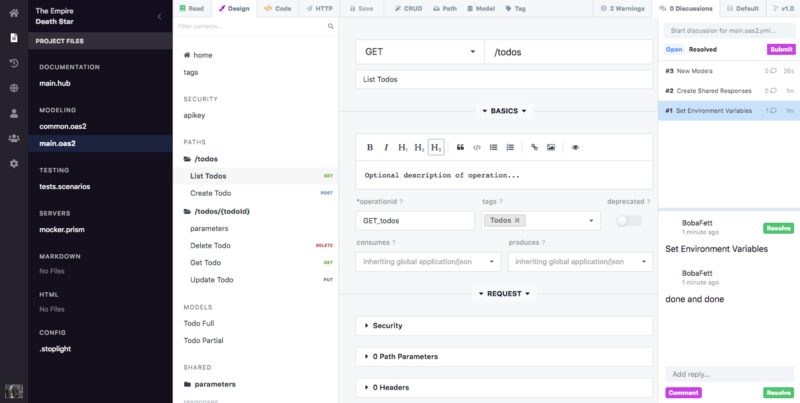 For example, continuous integrations services such as Travis, Jenkins, and Circle CI.